Recently, I was asked what my favorite thing to cook is...the answer, nothing really. What I LOVE to do however is take some insignificant amount of leftovers and create an entirely new meal the next night...so from a hearty dish of Black Eyed Pea Masala on rice to Open Face Hummus and Masala Sandwiches, this post is a feature of what I love most about working in a kitchen! Saute one Onion in a touch of olive oil, add 2 tsp. Cumin Seed (or powder if that's all you have). Once onions are translucent add 1 Tbsp. Ginger and 1 Tbsp. Garlic and saute for about 30 seconds. Add 2 cups of prepared Black Eyed Peas and Cayenne Pepper to taste, additionally add﻿ 1 tsp. Turmeric, 2 cans of diced Tomatoes, 2 tsp. Garam Masala, 1 tsp. Sugar, 1 Tsp. Salt and a bit of water (1/2 cup perhaps) and simmer until everything is tender, mixed and delectable. Serve over rice prior to a game of Pandemic or any other such thing. 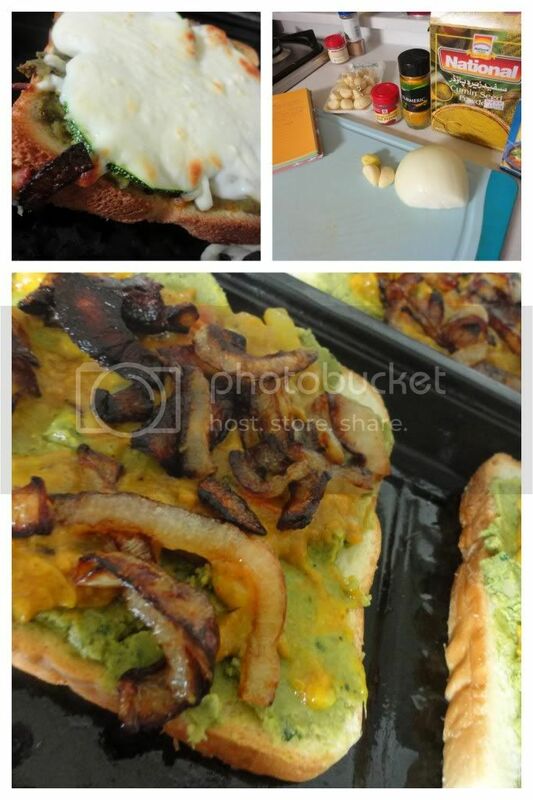 Using leftover Masala and prepared Hummus simply slather a piece of bread with hummus, top with masala, carmelized or stir-fried onions, thinly sliced zucchini, cheese and bake until warm and cheese has melted. Add an egg on top for added protein - viola! You've just made that one cup of leftover masala stretch one more night for three or four mouths!